Bay Area photographer Thomas Sanders recently photographed 10 veterans for a permanent exhibit honoring their combat service. Over the course of a few hours, Sanders had veterans living at Belmont Village Senior Living Rancho Palos Verdes sit for portraits, sometimes wearing part of their old military uniforms or holding a war-era photo of themselves. 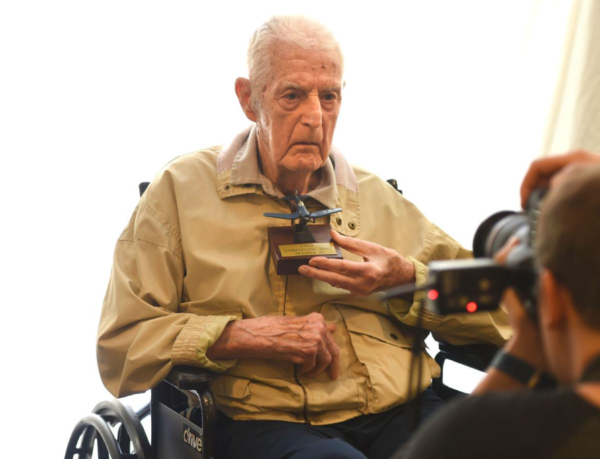 Among those photographed was 91-year-old Burt Scholin, who served in the Army during the Korean War, from 1950-1952. Scholin said he drove military trucks during his time in the service, hauling everything from troops to fuel to ammunition to whatever else needed hauling. “I had an experience that I’m very proud of. I was most fortunate because no one shot at me, nor did I shoot at anyone else, but I was close enough so that I know what war is,” he said. He said he was happy to have been part of the photo shoot. Another participant was Ila Gerding, 92. Gerding, whose first name is pronounced eye-lah, served as a civilian nurse during World War II. Sanders became involved in the project after he began photographing World War II veterans as part of a college assignment. He was then so inspired by their tales that he made it his goal to travel the country and photograph as many veterans as possible. His work was eventually discovered by Belmont Village, which operates 30 senior communities across the U.S. 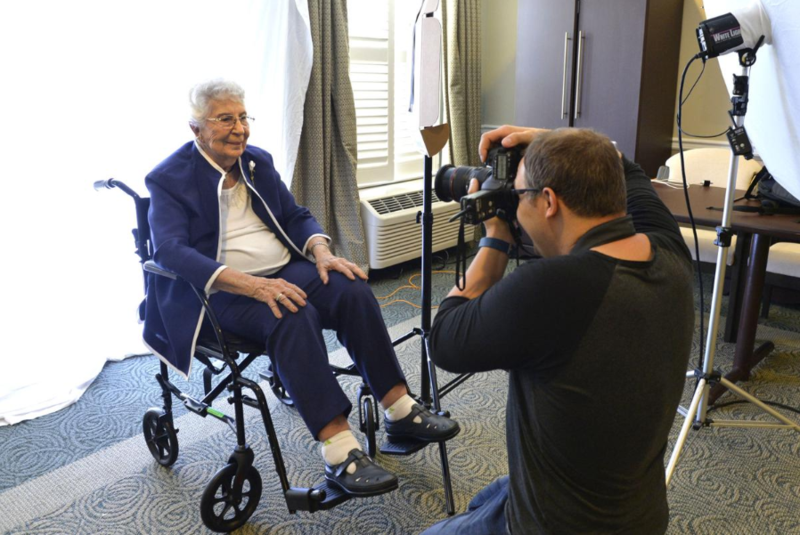 The company then hired him to photograph veterans at all its senior homes. Read the complete article on Palos Verdes Peninsula News.